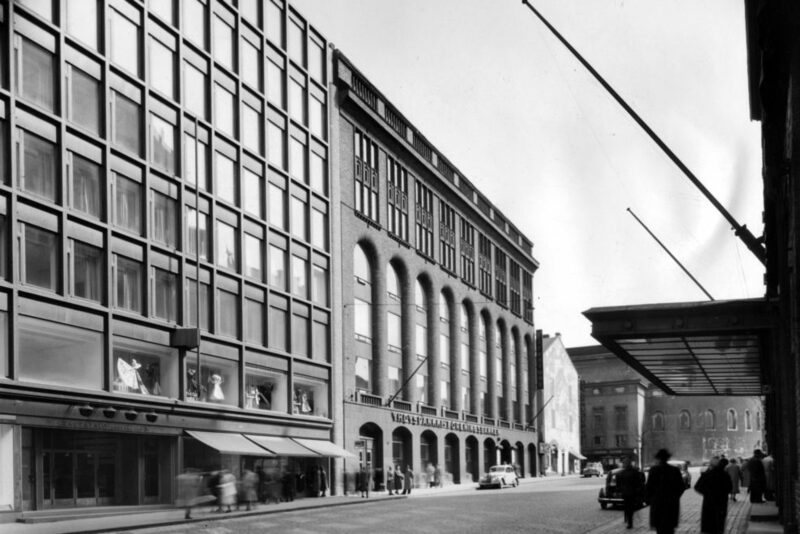 Alvar Aalto sent in the entry ‘Casa’ to the invitational competition (deadline April 30, 1951) for this business building right in the heart of Helsinki. 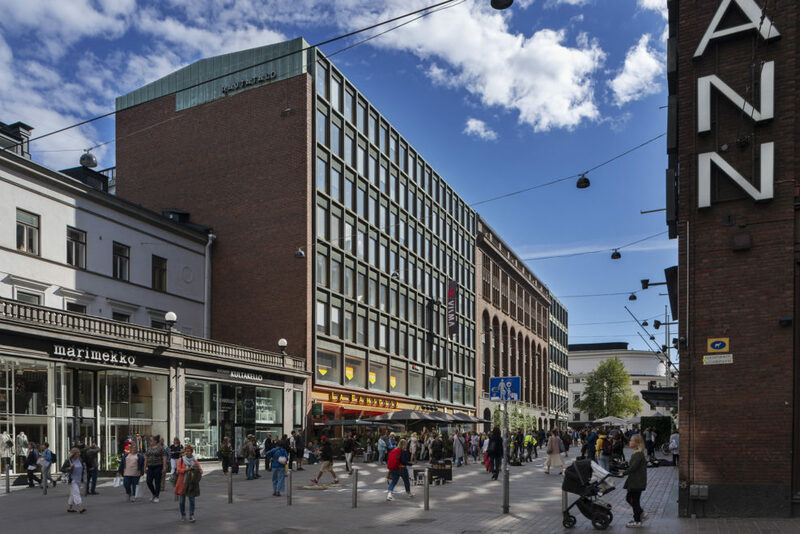 The client was the Finnish hardware dealers’ federation, whence the building’s name. 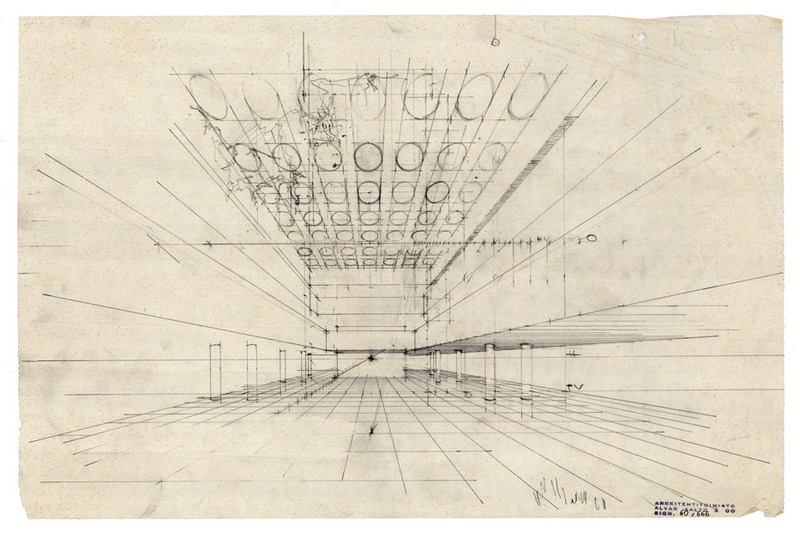 Aalto’s plan won first prize and was used as the basis for implementation in 1952-57. 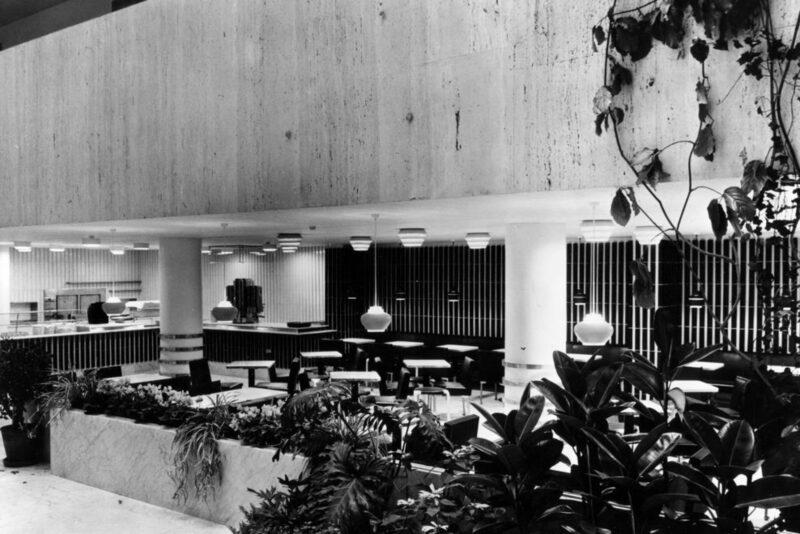 From the start, his main theme was a large interior light court behind an austere, copper-clad facade, which he sought to harmonize with the neighbouring building designed by Eliel Saarinen in 1920. 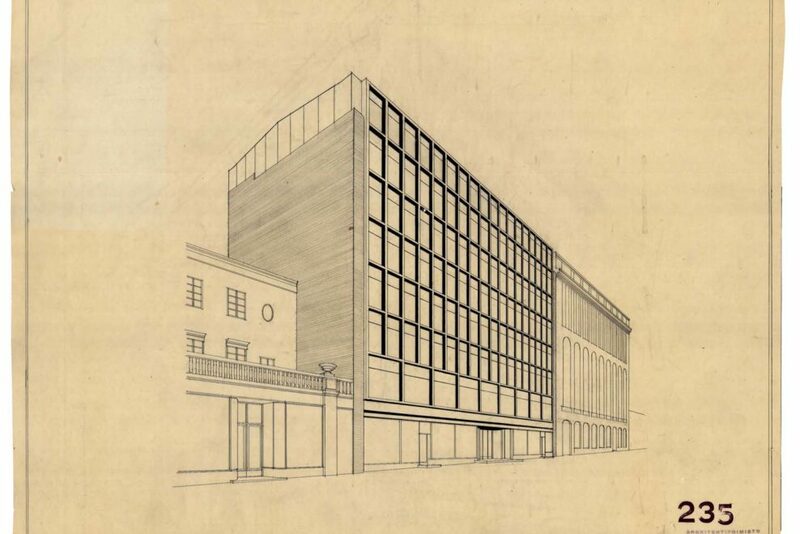 Aalto, however, gradually had to pare away at his original vision of a Nordic counterpart to the ‘Galleries’ in Milan. 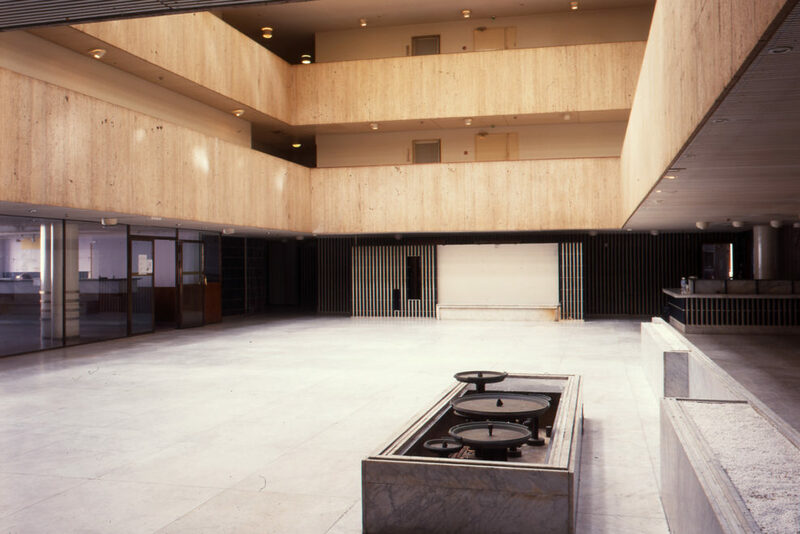 In the competition version, the covered courtyard with barrel skylights extended from first floor to the seventh, top storey, with five travertine-faced gallery levels suspended between them. The client, however, complained about lost office space. Aalto stubbornly held out for three gallery levels, but finally had to settle for two. 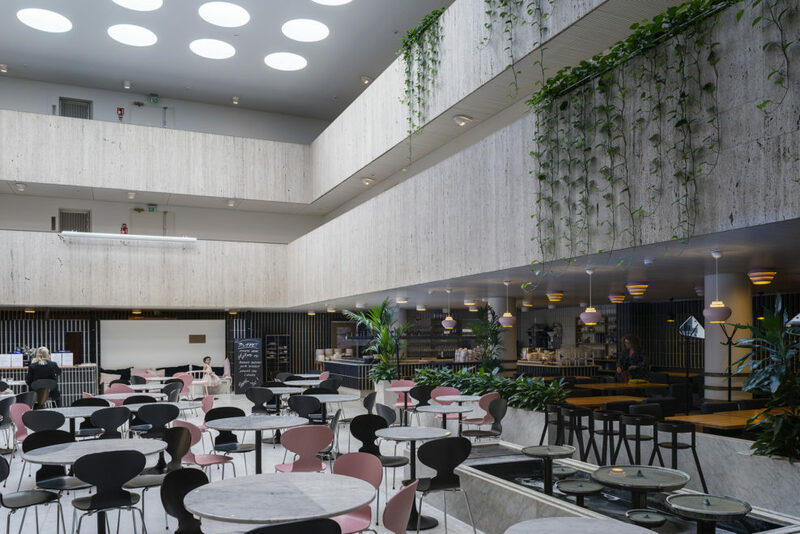 With its Aalto-designed café for 120 people, its purling little fountain, and the surrounding exclusive boutiques (including Aalto’s own furniture company, Artek), this light court is one of the city’s most pleasent oases. In the building’s regular squared facade of copper and glass, the display window axes of the two bottom floors correspond to the office window axes of the two top floors. The building is separated from its neighbours by visible red-brick fire walls. 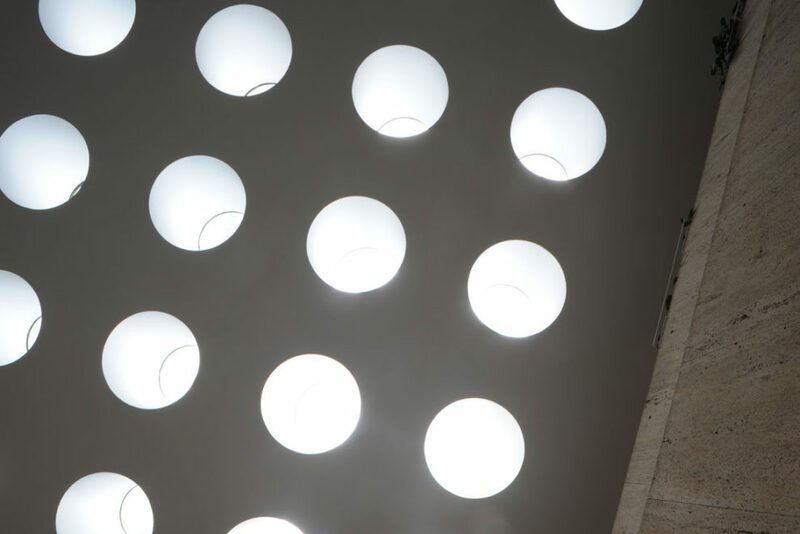 The light court is reached from the street level by a Venetian staircase with walls clad with ceramic tiles of various colours. Aalto first designed the organically formed bronze door handle which is a hallmark of his later buildings for the Rautatalo. The building consists mainly of offices and the cafeteria on the covered courtyard is open for public. The interior court is open for public and houses café Dylan Marmoripiha. 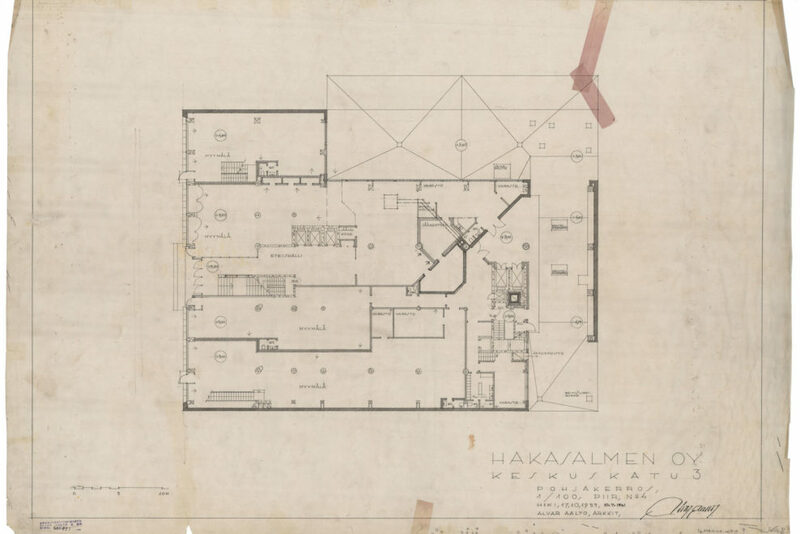 Photo: Maija Holma, Alvar Aalto Foundation. 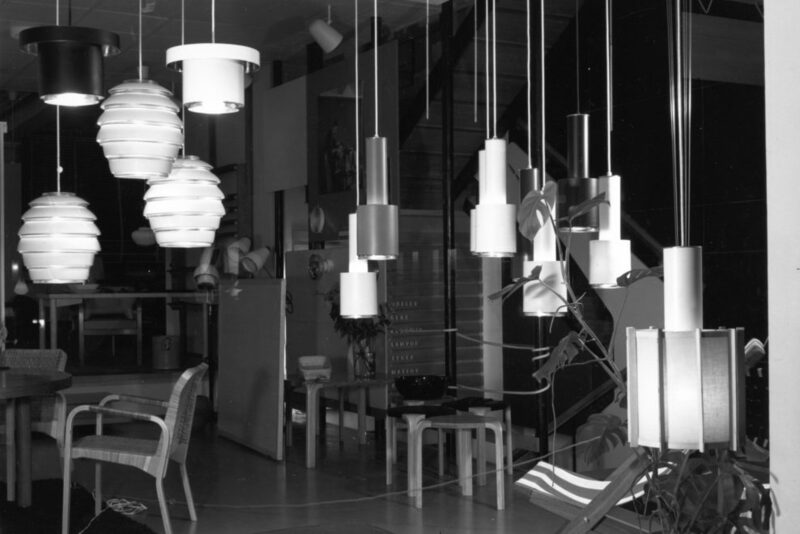 The exhibition Souvenirs from Italy – Mediterranean influences in Alvar Aalto’s Rautatalo Office Building produced by the Alvar Aalto Foundation presents the architecture of the Rautatalo building completed on Helsinki’s Keskuskatu Street in 1955. The exhibition is open during opening hours of the Dylan Marmoripiha. 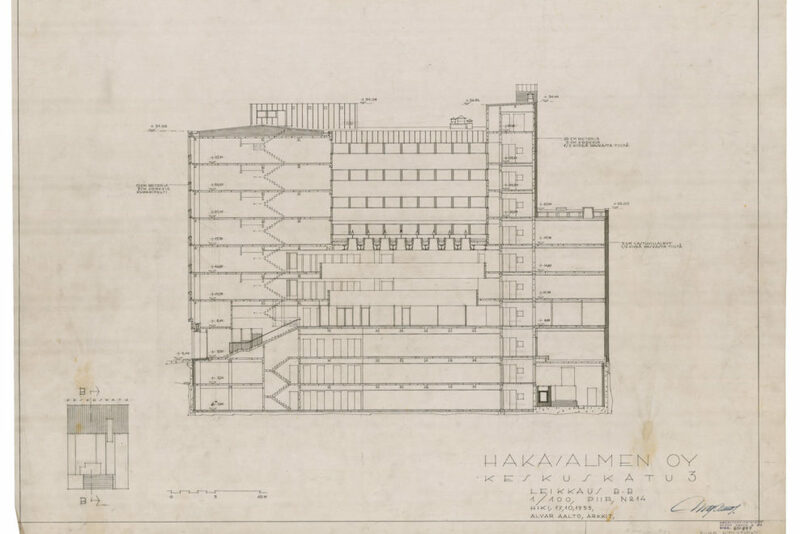 This small exhibition presents the architecture of the Rautatalo building and illuminates Alvar Aalto’s numerous journeys to the Mediterranean.